I love putting vegetables on the BBQ! You can use so many different ones: Peppers, Onions, Fennel, Aubergines, Courgettes, Garlic…or a mixture of all the above! Ideally, you need a smooth-surfaced hotplate/griddle for your BBQ in order to do these. Simply lightly coat the vegetables (cut into large chunks of similar thickness, about 2mm thick) in a little bit of extra virgin olive oil and season with a sprinkling of salt, then place on the very hot BBQ hotplate and turn occasionally until charred in places and lovely & soft & juicy. It’s lovely if you add slightly crushed, unpeeled garlic as it gives a really sweet garlicky taste to the other vegetables and is delicious to eat! 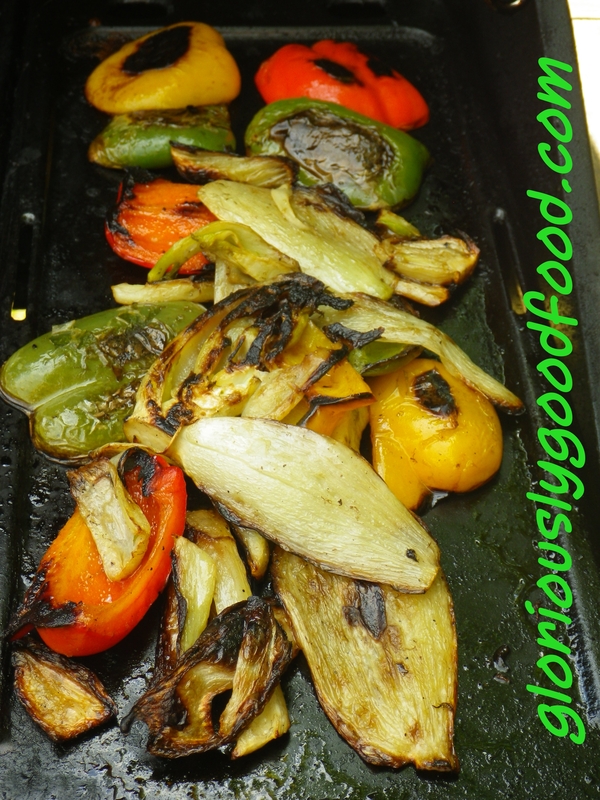 Today, we just put some fennel and green, red and yellow peppers on the BBQ. BBQ Vegetables – Gloriously Simple, Gloriously Good! This entry was posted in Vegetables, Vegetarian and tagged BBQ, BBQ Fennel, BBQ Peppers, BBQ Recipes, BBQ Vegetables, fennel, Peppers. Bookmark the permalink.